When you own a home, you feel that you have a responsibility to keep the home in good condition, so you and your family can live in a safe and comfortable shelter for years to come. But sometimes accidents can happen to your home, such as damage caused by strong winds or even a hail storm. Residents of Denver and other areas of Colorado know all too well the devastating effects of strong blizzards blowing from the mountains. Because winds and snowstorms especially affect the most exposed part of any building, the roof, this is the part of the house where damage occurs most often. For roof repair Denver residents have trusted the experts at Campbell Beard Roofing for over 20 years. Campbell Beard Roofing comes to the aid of those who feel the burden of repair and Maintenance of a residential roof in Denver metro and other parts of the Front Range. By calling the top notch residential roofing contractor Denver residents are assured of the best solutions for any problem concerning Denver roofing repairs, which can range from small fixes to the most complex solutions for any residential roof in Denver or the surrounding areas. When it comes to Denver residential roofing, we can recommend you the best option for your roof repair needs. Just contact us, and we will provide you with a Denver buy cytotec home roofing solution that is adapted to your own specific situation. We have the experience to tackle any kind of Denver residential roofing repair job. After dealing with the extreme effects of weather, a Denver roof repair may be the final solution. When damage is too extensive, or the costs of repairs match the costs of installing a new residential roof in Denver metro, residents often need to start thinking about a new roof for their home. Due to the complexity and difficulty of this job, in Denver, roof replacement can a big decision. Campbell Beard Roofing is a Denver Residential roofing contractor who truly understands the value of your money and gives you high quality services for your investment. We also have the expertise required to execute even the most challenging projects, with attention to detail and quality as our first concern. When a residential roof in Denver is exposed to extreme heat or strong wind, damage is likely to occur as time passes. No matter how well a roof is built, in order to keep it in good shape, regular maintenance and inspections are a must. 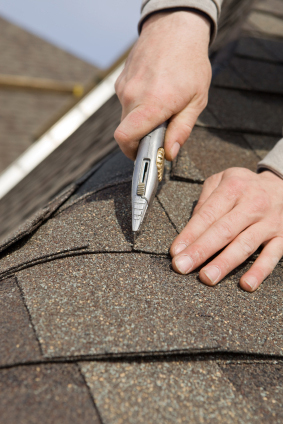 Campbell Beard Roofing can help you with the task of regularly doing roof maintenance and roof repair on your property, and thus, make sure that it will stay in good shape for decades.